March 16, 2015 David Cameron has made an eleventh-hour intervention to postpone the publication of a controversial report into the Muslim Brotherhood in an attempt to avert a potential row with Saudi Arabia and Egypt. The long-awaited report was due to be published on Monday afternoon but Mr Cameron’s move now means it is unlikely to be released before the UK general election on May 7, if at all. It was expected to conclude that the Muslim Brotherhood should not be proscribed as a terrorist organisation, although its activities in Britain should be more transparent and kept under review. 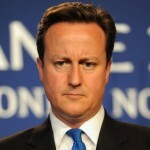 The Brotherhood has been banned by Saudi Arabia and the UAE; some ministers say the two Gulf countries pressured Mr Cameron into setting up the investigation in the first place.Just hours before its scheduled publication, Mr Cameron pulled the report, saying it should instead be released alongside the coalition government’s new counter-extremism strategy. Some officials in the Foreign Office had expressed concern the report could undermine Britain’s relations with key Gulf allies. 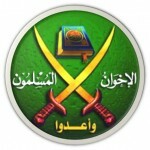 Although the Financial Times and other UK media are reporting that the the UK investigation will not designate the Muslim Brotherhood as a terrorist organization, the GMBDW is forced to conclude that any failure to so designate the Muslim Brotherhood represents a political decision and not a decision based on the available evidence. The Financial Times report did cite a comment by the GMBDW editor on the importance of the UK to the European Muslim Brotherhood, part of a broader set of comments also reported in The Independent today, but neither paper included his comments on the relationship between the Brotherhood and terrorism and the GMBW has extensively documented that global Brotherhood networks are enmeshed with terrorism at a number of different levels. While the GMBDW awaits the publication of the UK report before drawing any final conclusions, we are deeply skeptical that any of the above evidence below, for example, was taken into account. To begin with, the Global Muslim Brotherhood has long been engaged in rhetorical tactics relating to terrorism that serve in various ways to legitimize the phenomenon. In 2008, we published an analysis titled “Muslim Brotherhood Positions On Terrorism- Denial, Deception, Defense, And Obstruction” that examined these tactics in detail. 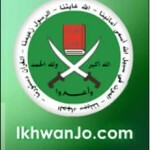 As recently as April 2013, we reported on an article published by an individual tied to the Canadian Muslim Brotherhood that neatly illustrates each of these four tactics. However, the Global Muslim Brotherhood support for terrorism goes far beyond rhetorical tactics. It is clear that the whole of the global Brotherhood acts in support of Hamas which is not surprising given that Hamas is intimately related to the Brotherhood and the Hamas charter says that it is “one of the wings of the Muslim Brothers in Palestine.” This support takes many forms including both political support as well as financial support as demonstrated for example by the Union of Good (UOG), a worldwide coalition of charities headed by global Muslim Brotherhood leader Youssef Qaradawi that has provided financial support to both the Hamas “social” infrastructure, as well as its terrorist activities. 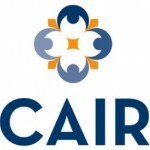 Yet the relationship of the Global Muslim Brotherhood with terrorism extends beyond support for Palestinian terrorism despite the common notion that there is a “firewall” between the Global Muslim Brotherhood and groups such as Al Qaeda. For example, global Brotherhood leader Youssef Qaradawi has had a long standing relationship with Abd al-Rahman bin ‘Umayr al-Nu’aymi (Nu’aymi) who was designated by the US Treasury in December 2013 for providing financial support to al-Qa’ida, Asbat al-Ansar, al-Qa’ida in Iraq, and al-Shabaab. Al-Nu’aymi also heads the Global Anti-Aggression Campaign (GAAC), an international Islamist umbrella group which is comprised of Islamist scholars tied to the Global Muslim Brotherhood as well as Salafi-Jihadi scholars including individuals designated as terrorists by the US. 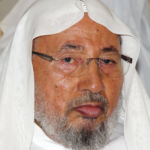 We have reported that Tunisian Muslim Brotherhood leader and Qaradawi associate Rachid Ghannouchi had spoken at a December 2011 GAAC meeting along with Dr. Walid Musa’id al-Tabatibai (aka Walid al-Tabtabai), a well-known Kuwaiti parliamentarian and Salafi leader who authored a letter praising Osama Bin Laden. In June 2013, we reported that a conference on Syria was held in Cairo that included Youssef Qaradawi as well as more than 70 religious organizations from across the Arab world and that was jointly organized by various Islamist and Muslim Brotherhood groups in the Middle East and Europe together with the GAAC. Also attending the Cairo conference was Salah Sultan, close to Qaradawi and last reported as the subject of an Egyptian arrest warrant as part of the crackdown on the Muslim Brotherhood. For background on the UK investigation, go here.